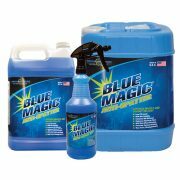 Blue Chill® Anti-Spatter Solution is a cost effective, environmentally safe product formulated for industrial robotic and semi-automatic welding applications. Increase welding productivity with this specially blended formula that not only protects surfaces from spatter, slag, and scale but also quickly cools down hot nozzles! For light to medium levels of spatter. No mixing required. Blue Chill® Anti-Spatter Solution is a cost effective, environmentally safe product formulated for industrial robotic and semi-automatic welding applications. 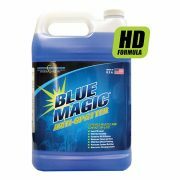 Increase welding productivity with this specially blended formula that not only protects surfaces from spatter, slag, and scale but also quickly cools down hot nozzles! No mixing required.